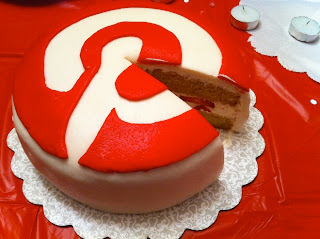 Pinterest has gained quite a bit of popularity over the course of its life, short as it may be. This image-based social media is a great way to share pictures you like with other people. A lot of the pins, or image shares on Pinterest come from other websites, from where people can easily pin pictures in much the same way they can Like or +1 a post. Since so much of the data on Pinterest comes from outside sources, Pinterest has finally decided to launch a new Web Analytics program which will help website owners understand what sort of images interest people, and how best to harness their potential streams of revenue. To be able to start using it, users will first need a verified website. Those with a verified website will be able to see the number of people who have pinned from their site, number of people who have seen these pins and the number of people who visited their site from Pinterest. If your site isn't verified, you need to visit this verification help page from Pinterest, and then get your site verified in very simple steps. Verify your site now, and if you have a confusion, feel free to ask us. Once verified, go over to your Pinterest profile, and switch to Pinterest's new look by following this link. Once this is done, visit your Pinterest again, and look for the Analytics option in the top-right corner. The update brings some performance improvements and a couple of bug fixes. Pinterest stated in a blog post that it has made some behind-the-curtain improvements to the app, which results in smoother scrolling when viewing pins. Late in January this year, Pinterest was reported to be trying a new look that aims to make surfing the website both faster and more pleasing to the eye. The company will implement a tweaked navigation panel along with bigger pin sizes. In version 1.3, the updated Pinterest app lets you view the contributors, i.e. users can see who else is pinning to a board along with them. Interestingly, now Pinterest users can control the boards which they contribute to. Simply put, they have the option to accept or ignore new board invitations. They can also quit group boards that they were a part of. Pinterest also informs users that the update to the app isn't up on the Kindle app store yet, but it will be there once the review process is over.